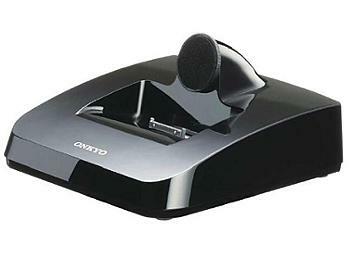 The latest in Onkyo's line of RI (Remote Interactive) Docks for the iPod links with your home entertainment system to get more out of your music, movies, TV shows, music videos, and video podcasts. The DS-A3 is equipped with component video output, to ensure greater quality and reliability for video playback. You also have the benefits found on earlier Docks: recharging capability; onscreen display for navigation and content selection; a dedicated remote control; and integrated operability through Onkyo's RI system. Combining iPod versatility with Onkyo sound quality is a simple formula for pure enjoyment. Please note that 1st, 2nd, and 3rd generation iPod models are not supported. Updating iPod software is advised before using the DS-A3.